Asserting the dignity of all people is a central moving force in the history of social change. This is the fifth article in our series on empathy and transformation. In the late nineteenth century a child named Muriel Lester took a train ride through London. Born into privilege and still blind to the wider world, she noticed an unpleasant smell that filled the carriage when the train passed through the east end of the city. As Lester recalls in her autobiography, when she asked her nanny if people lived in the stinking, sprawling warrens she saw through the window, the nanny answered, “Oh yes. Plenty of people live down there but you needn’t worry about them. They don’t mind it. They’re not like you.” Lester later discovered that the factories manufacturing the fragrant soaps that she used along with the rest of her social class were also responsible for the constant stench afflicting East London. That childhood ride proved to be a social and spiritual awakening. As an adult, Lester believed that every person contains a “divine spark”, or something of infinite value. This insight from Jewish and Christian mysticism is mirrored in the humanist affirmation of an innate and undeniable human dignity. Before taking public transport, Lester would remind herself that each person she saw was, as she put it, near and dear to God, making this reminder to herself into a regular spiritual practice. Her belief in the divine spark and her practice of mindfulness were a Christian version of Gandhi’s “experiments with ‘truth’” (his preferred name for God). Lester and Gandhi became close friends and confidants. These became the core beliefs in Lester's work for economic justice and international peace. She founded Kingsley Hall as a community center in east London and became a renowned advocate of nonviolence. Against England’s stratified class system, she spoke repeatedly of the intrinsic humanity and infinite value of every person. After World War I, she worked with east Londoners to petition the then Prime Minister to end the punitive sanctions that were starving families in Germany. Having known hunger, they didn’t want anyone else to endure the same. During World War II, she again applied her core beliefs internationally: no one could decide for her that someone was an enemy simply because they were born in a different strip of land. Opposing Nazism and all imperialistic aggression, she stated publically that the British Empire was built on military dominance, economic power, and oppression. This public declaration led the British government to detain her in prison for treason for two months. Over 100 years later, a similar story is playing out in Long Beach, California, in the United States where I live. Muriel Lester’s philosophy is very much alive among a new generation of social-spiritual activists. Here, truck drivers in the Port of Long Beach and hotel workers in the tourism industry are waging campaigns for social justice. The underlying reality is the same: some people get the “sweet soaps” and others get the “stench.” Corporations and politicians profit from tourism and the Port, while truck drivers and hotel staff work long hours in harsh conditions for low wages and no benefits. The Port’s negative impact extends well beyond its workers. Fumes from diesel trucks constitute 70 percent of cancer risks in Southern California, and are exceptionally harmful to children and the elderly. In Long Beach, asthma rates among children are twice the Southern California average. On one local freeway, six hundred trucks pass within a hundred feet of an elementary school every day. Cancer and asthma rates are highest in neighborhoods that are nearest to the port and its adjacent rail yards and freeway corridors. Just ten miles away, the risk of cancer is six times less than at the port and its transportation hub. Under intense pressure from campaigners, the port has taken some small steps to “green” its operations, but low-income truck drivers are being forced to pay the bill for these modifications in the form of higher prices for trucks and their maintenance. Working with local labor unions, Clergy and Laity United for Economic Justice (CLUE) regularly asks religious leaders to take part in hearings, protests, and meetings with truck company representatives, hotel managers, elected officials, and Port Commission members. CLUE’s means of nonviolent action run the gamut from direct action and public demonstrations to local ballot initiatives that are designed to create a living wage ordinance and other laws. But they also use spiritual traditions like prayer and silent vigils. The clergy presence is supposed to represent moral conscience against raw power, and is used to complement the economic and political pressure that unions bring to bear. When local officials and corporate leaders meet with CLUE the atmosphere is always tense. At one such meeting Sameerah Siddiqui, one of CLUE’s community organizers, had arranged to have five clergy meet with the then President of the Long Beach Port Commission, James Hankla. Hankla's opening salvo almost took our breath away: “The purpose of the Port is to generate wealth,” he declared. After a stunned pause and some small talk I asked, “Are you aware that the Port also generates poverty, asthma, and cancer?” He was, it just didn't matter to him. Just as in nineteenth century east London, “they” - the working poor - are not like “us,” the people who make the decisions, so their condition is not a factor. We did not win a convert. “I think we just met Mr. Burns” was Sameerah’s conclusion. Such leaders usually view imbalances in health and wellbeing through the lens of pragmatism and of profit, but CLUE, just like Muriel Lester, sees them as a spiritual issue of blindness to the divine spark in each person - the denial of their innate and equal dignity. 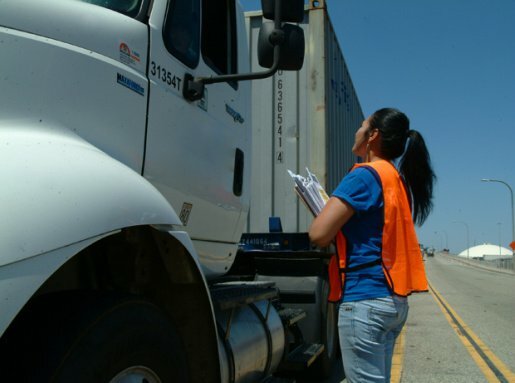 Without ever saying so in bald-faced terms, the port commissioners, corporate executives and city leaders of Long Beach believe that hotel workers, truck drivers and their families do not merit equal attention. That’s why it’s so important for CLUE to advocate the opposite, and to develop ways of living and being in the world that make equality a constant social and spiritual practice. Asserting the innate dignity of all people is a central moving force in the history of social change: in Gandhi’s work for an India transformed; in the US civil rights movement and the anti-apartheid struggle in South Africa; and in many battles for equality based on race, class, religion, gender and sexual orientation. But it is also true that social movements can collapse or fail, or betray their principles, or turn on some of their own members when they forget that equal dignity must be asserted universally. This is an essential defense against discrimination inside social movements, and it underscores the importance of developing a worldview that sees no permanent enemies so that opportunities for moving forward can be seized. For those of us who are committed to nonviolence, the hardest part of social activism is learning to accept, and even embrace, the innate dignity of the perpetrators of injustice, remembering that somewhere buried beneath the lust for power, the personal arrogance and the ideological conceits, the divine spark exists even in Mr. Burns. For CLUE, just as for Muriel Lester, treating them with respect is always the deepest spiritual challenge of social struggle.